Wine, like art and jewelry, have well documented histories, vintages, and values, making them a natural fit for collecting. From watching your collection grow to finding new, exclusive wines to add to your impressive assortment, having a wine collection in your home is a great way to truly enjoy your passion for wine. If 2017 is the year you want to start building your perfect wine collection, here is what you need to know to begin! Collecting wine is a long-term commitment that requires vision and direction. Don’t make the easy mistake of haphazardly stockpiling a couple of prized reds and end up with a disorganized mix of bottles and cases in a corner of your basement. Think about your purpose in starting a collection. Is your aim to collect wine as an investment, with the intention of selling your bottles at a later date? Or do you want to collect so that you have an easy access to a selection of wine that you can use regularly? Walking into a good wine store is like walking into Toys R Us as a child. Without a strict budget, it is easy to get carried away. It is essential to set aside a budget to ensure that you can achieve your goal without breaking the bank. There is no need to invest heavily in your collection upfront. Take your time, and build your collection gradually. There is a lot of joy to be found in purchasing great bottles as you casually come across them. Proper storage is critical. Ideally, wine should be stored in a dark space with a consistent temperature of 13°C. Investing in a temperature-controlled unit is key. there are multiple ways of organizing your wine, however, we recommend you organize your collection by region and year and store the oldest bottles on the bottom shelves where the temperature is coolest. 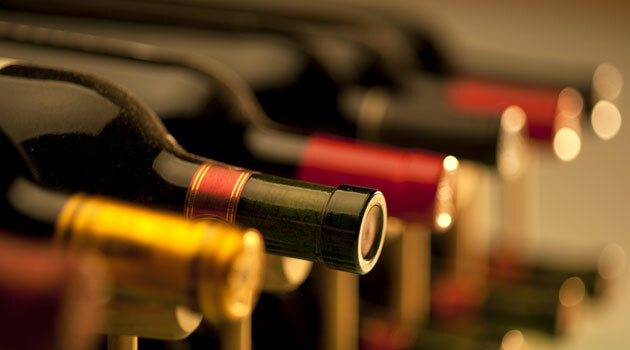 Another tip: Store your bottles flat, not upright, to prevent corks from drying out. A great collection of wine is catalogued and tracked. Make sure you make note of exactly where each bottle is in your collection, how much you paid, and all the other information you need to keep a detailed log. Most importantly, let your collection grow organically based on your taste. You should focus on selecting bottles with meaning, whether they are from a special place, or from a certain year like that of an anniversary. Buying wine is like buying art, and should be a reflection of you and your tastes. The only wines really worth collecting are ones you actually enjoy drinking.